SBI Recruitment 2017 shared an official job employment notification for the post of Manager Job which has to apply now for the recruitment going by SBI. The State Bank of India offers the job vacancies to interested and eligible candidates to apply for Senior Manager and Deputy Manager in SBI Branch Office. Who Can Apply? 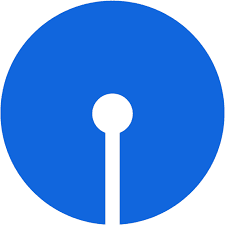 Candidates who completed their B.E or B.Tech can apply in SBI Recruitment 2017. This is recruitment for senior manager and deputy manager job announced by State Bank of India (SBI). Eligibility: All interested and eligible candidate can apply to Manager Job who had done their B.E or B.Tech education. You have to read all the details related to SBI Recruitment 2017 before applying to this job opportunity. Job Location: State Bank of India, Mumbai. Age: Candidate whose Minimum age is 28 yrs and not exceeding 40 yrs of age can apply. Qualifications Requirement: A candidate must have completed their education in B.E or B.Tech in IT Information technology, or computer science, or computer application/electronics/electronics and instrumentation with at least hold 60 percentage of marks. Age: Candidate whose Minimum age is 21 yrs and not exceeding 35 yrs of age can apply. Qualifications Requirement: A candidate must have completed their education in B.E or B.Tech in IT Information technology, or computer science, or computer application/electronics/electronics and instrument with at least having 60% of marks. For SBI Recruitment 2017 selection process, all eligible and interested candidates will be selected on the basis of a personal interview or written exam. > Fill all your required details in the sbi job form. Now, Send your filled job applications in prescribed format along with all other relevant documents to 'General Manager, State Bank of India, Central Recruitment and Promotion Department, 3rd Floor, Atlanta Building, Nariman Point, Mumbai-400021'. The last date for submission of online application will be 10/08/2017. The last date for receiving the application will be 21/08/2017. Subscribe below for more free job alerts related to SBI Recruitment 2017 For Manager Job Apply Now.